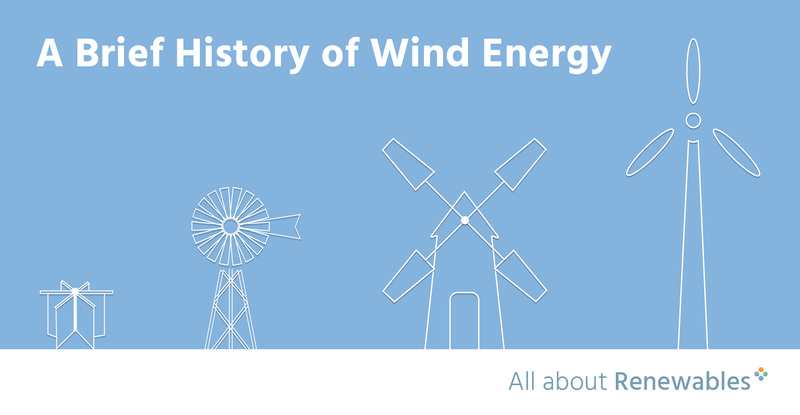 For Global Wind Day 2018 we thought it would be a nice to have a look at the history of Wind energy. From it’s beginnings to the future. We realised we only really looked at the here and now for wind. Then we thought, how the heck did we get here? Today with turbines the size of enormous buildings, floating turbines and how the blazes did we even start getting electricity from the wind?! So, what follows is a brief history of wind. Not everything is in there, obviously, as there is way too much to mention. The first recorded use of harnessing the Wind's power - Sailing boats. In Persia Panemone windmills were used to convert the power of the wind and ease the job of grinding grain. Windmills start using a horizontal axis for the first time. Denmark uses Wind power to drain acres of land. In Glasgow, Scotland - home of our HQ 🙂 - The first windmill for electricity production, built by Professor James Blyth of Anderson's College. His turbine is said to have powered his Scottish home for 25 years. Danish Scientist Poul la Cour tests storing wind as hydrogen (and oxygen) energy by passing the electricity through water and using electrolysis. 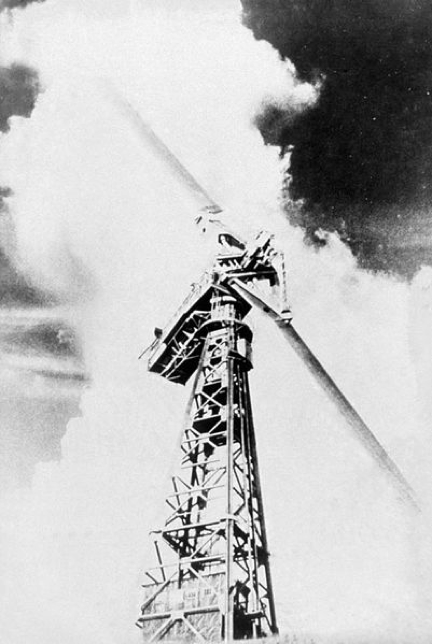 The Smith-Putnam wind turbine, the world's first megawatt-size wind turbine, was connected to the local electrical distribution system in Vermont. A big change. In Denmark the world's first multi-megawatt wind turbine was constructed. 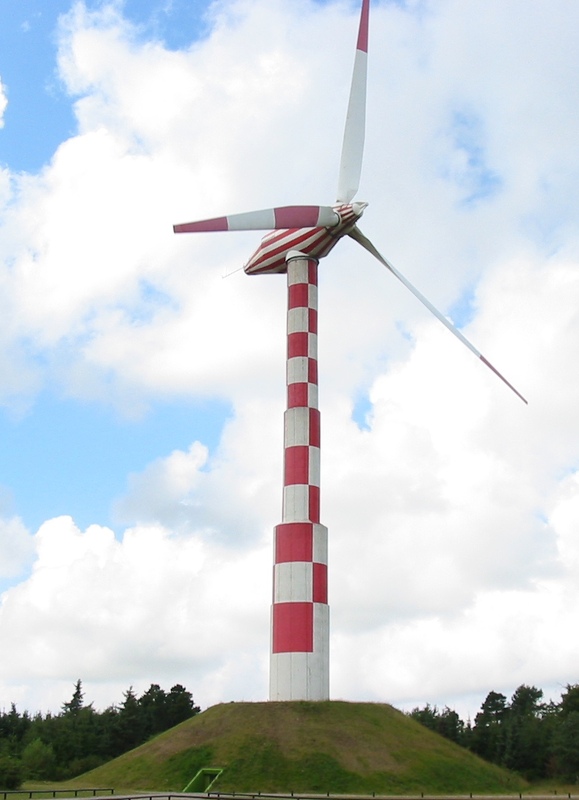 It pioneered many technologies used in modern wind turbines. Denmark again... The world's first Offshore Wind Farm in the world is built - The Vindeby Offshore Wind Farm. 29 kilometres (18 mi) off Peterhead, Scotland - Hywind the world's first operating deepwater wind farm is built. Gansu, China, is part of a Wind Power megaproject. The world's biggest Wind Farm to date with a nameplate capacity of 7,965 MW. Last stage will see the farm hit 20,000 MW capacity. TenneT Island. Planned to be the biggest Offshore Wind Farm in the world, supplying the UK and Netherlands (later Belgium, Germany & Denmark). All set along a 2.3 miles squared artificial island. As it’s Global Wind Day 2018 we would like to quickly highlight our two dedicated Offshore and Onshore Wind teams. Between our Offshore Contracts and EMEA Permanent Offshore teams, we have placed top talent across the globe in 17 different countries. From Scotland, the home of our HQ, to Portugal. From Mexico to Taiwan. And we’re constantly adding to this list of locations. We’re able to place talent around the world because we have a bunch of strategically placed offices: Glasgow, London, Houston, Madrid and Singapore. We’re available and ready to go whenever you are. Feel free to reach out. We can answer any questions you might have. Don’t be shy.